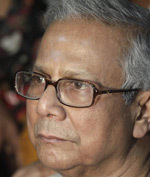 After a glittering career, Muhammad Yunus, the man whom many credit with founding the modern microcredit industry, is facing a concerted campaign to oust him as head of Bangladesh's Grameen Bank. The central bank of Bangladesh ordered the Nobel Peace Prize winner to step down from his position, charging that the 70-year-old bank director had not received the proper approval to continue serving in his position past the government’s mandatory retirement age of 60. The Bangladeshi High Court upheld the central bank’s decision, and Yunus has now filed an appeal with the appellate division of Bangladesh’s Supreme Court. Grameen Bank began in 1976 with Yunus’s efforts to open credit channels for the rural poor. Those efforts expanded over the years that followed, and in 1983 the organization officially became a bank. Since then,Grameen Bank has lent over $10 billion to more than 8.3 million borrowers, most of them poor, rural women, with a recovery rate of more than 97%. Grameen’s success has spawned similar microcredit organizations in other parts of the world. Yunus and Grameen Bank were jointly awarded the Nobel Peace Prize in 2006 for their pioneering work in microcredit. In recent months, however,microcredit practices have drawn criticism from some economists and policymakers for taking advantage of the poor and failing to reduce poverty. 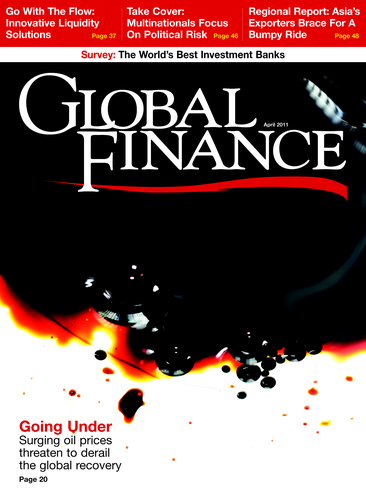 Although Grameen Bank has avoided the allegations of predatory lending and loan sharking faced by some counterparts in other countries, Yunus’s reputation has suffered. Some observers claim Bangladeshi prime minister Sheikh Hasina is capitalizing on the tarnished reputation of microcredit and using the allegations of corruption to weaken the Nobel laureate’s political power.In 2007, Yunus criticized Bangladesh’s politicians for corruption and took initial steps to form his own political party. He later abandoned that project, but political leaders may still see him as a rival.